For the crust, you make a hazelnut cookie dough. It involves hazelnut praline paste, which is really just ground hazelnuts, mixed with some caramelized sugar, mixed with some oil. In my case, I used walnut oil, because the store didn’t sell hazelnut oil, and I only needed a teaspoon or so anyway. 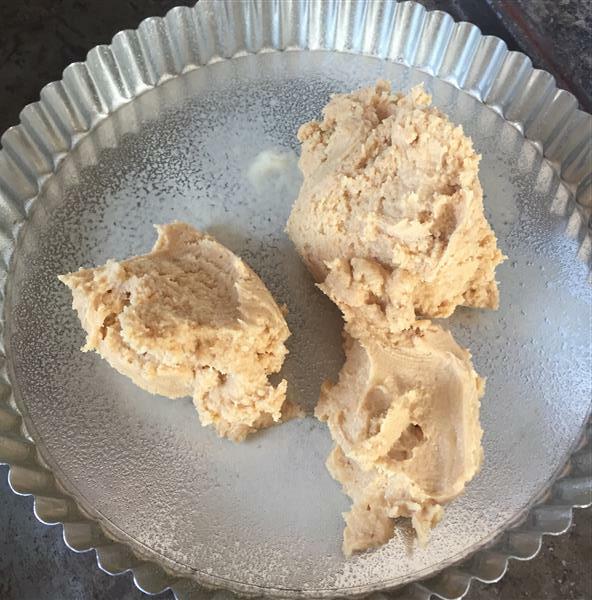 I had about half as much praline paste as the overall recipe called for, so I split it up between the crust and filling, and subbed in peanut butter to make up the difference. 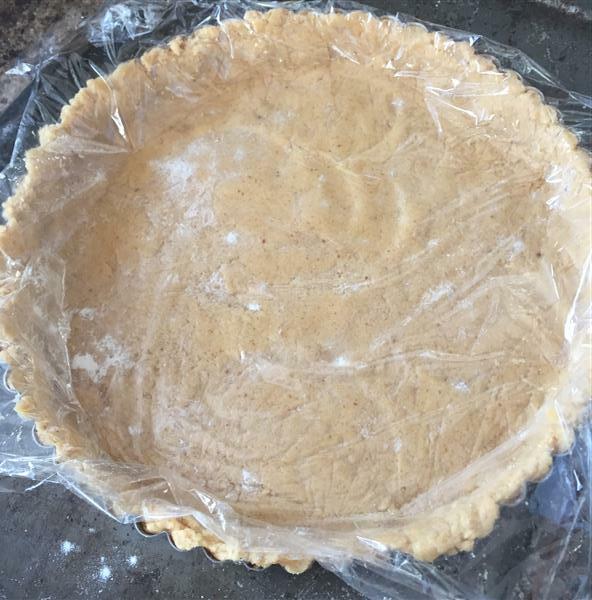 The cookie crust that I use in the peanut butter pie is stiff enough after refrigeration that it can be rolled before being placed in the pan, but this one says to press it into the tart pan, with no refrigeration step needed. I’m not sure which technique I prefer, to be honest. I guess it depends if I’m in a rush. it gets pressed down with a small metal spatula, at first, then using a flat bottomed/sided glass over plastic wrap, which works pretty well. Bake the crust, then let it cool. 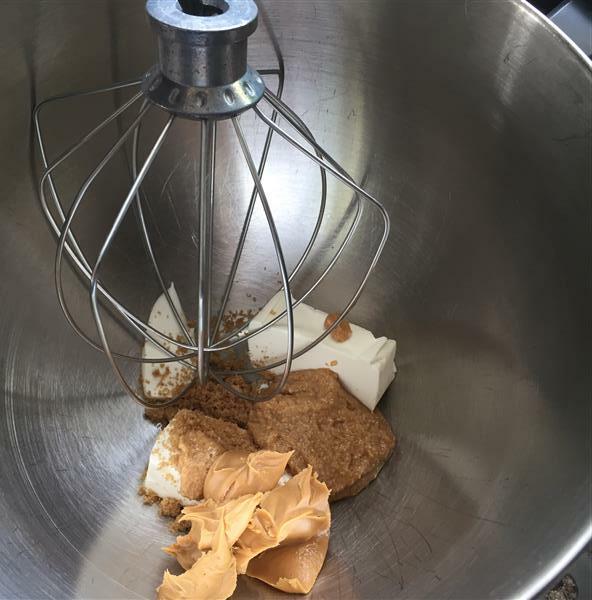 Mix together the cream cheese, brown sugar, hazelnut praline powder, and, in my case, peanut butter. Whip some cream. 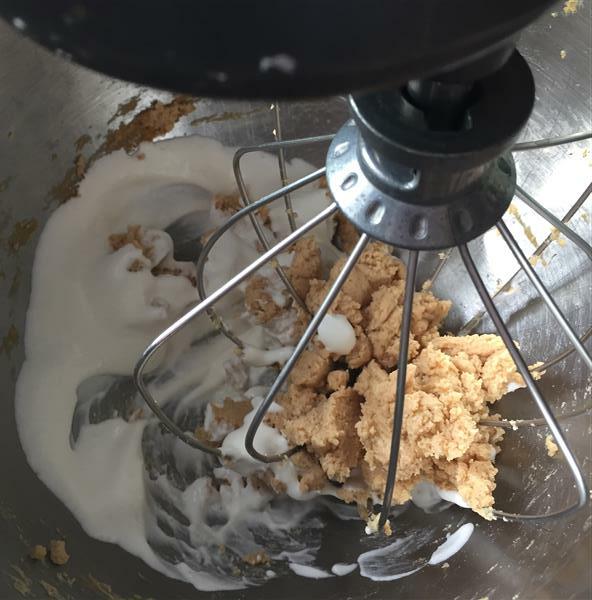 As is standard for a mousse, add some of the whipped cream to lighten the mixture, then gently fold in the rest of the cream. That gets spread into the cooled tart shell, then you make a ganache for the topping. 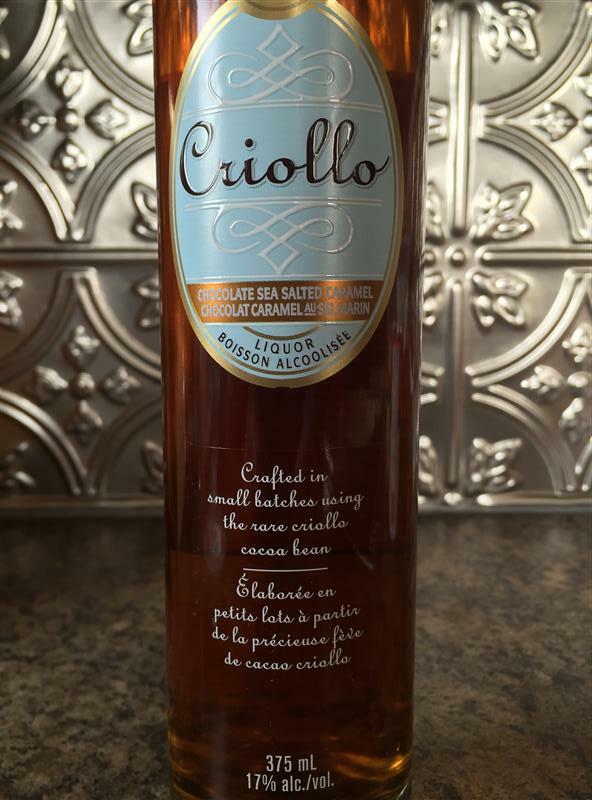 The ganache calls for the use of Frangelico. All the LCBO had was a giant bottle of Frangelico, so I looked at the other stuff in the area. This one looked tasty. I think the salted caramel flavour disappeared behind the chocolate in the ganache. I’m sure I can find better uses for this particular liqueur. How was the tart? Well, not a single person said “I’ll just take a small piece.” Nothing was left on any of the plates, either. It got referenced on twitter as “that chocolate hazelnut peanut butter deliciousness,” too. I liked it, but to be honest, I think I like my version with the chocolate lacquer glaze instead of ganache just a little bit better. I think the ganache firms up just a bit too much, sort of interfering with the mousse texture. Wouldn’t say no to another piece right about now. But maybe I should go to bed instead. Posted on March 1, 2016 by KristinaPosted in The Baking BibleTagged ganache, hazelnut, mousse, peanut butter. Hi Kristina, According to Rose’s Intro, the peanut butter version is famous! I guess you know. I served this tart to friends as well. It was so surprisingly light and delicate. I loved it. My bottle of frangelico was completely empty and dry when I took it out, so I used rum. Sounds delicious! Looks great, too. Nice to know about the ganache topping. I would say your friends were quite lucky!